This pink and silver sequin party dress is a glamorous look for any semi-formal event--and we love the unique combination of pink and silver paired together! The Silver and Blush Starburst Sequin Party Dress is fully lined. It has a rounded neckline, three quarter sleeves, and a classic sheath cut. 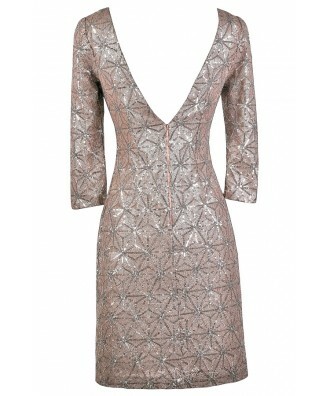 The dress is made entirely of blush pink miniature sequins and it has silver sequin burst designs throughout it. A hidden back zipper completes this dress. The Silver and Blush Starburst Sequin Party Dress looks perfect paired with beige or silver metallic pumps or strappy heels and a clutch. Details: Fully lined. Hidden back zipper. 100% polyester. Lining: 100% polyester. Dry clean only. Small measurements: Length from top of shoulder to hemline: 36". Bust: 33". 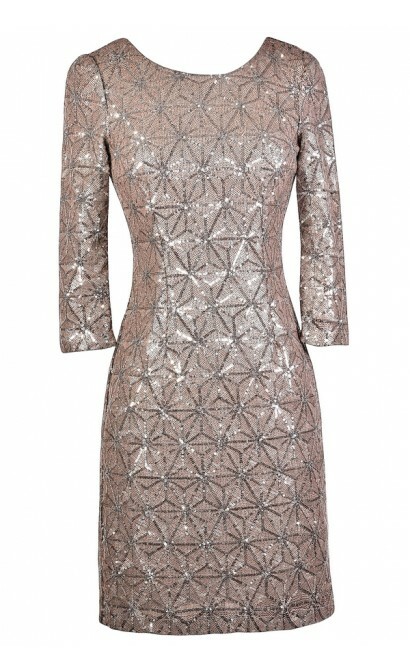 You have added Silver and Blush Starburst Sequin Party Dress into Wishlist. 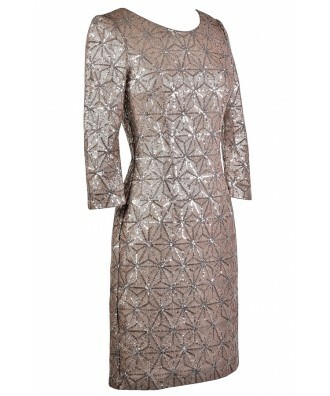 You have added Silver and Blush Starburst Sequin Party Dress for Stock Notification. 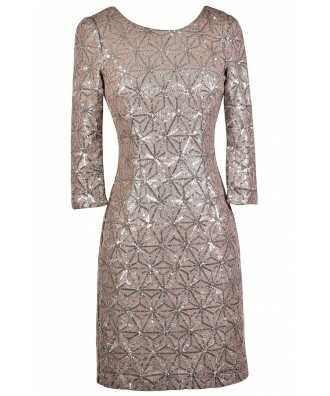 You have set Silver and Blush Starburst Sequin Party Dress as a loved product. You have removed Silver and Blush Starburst Sequin Party Dress as a loved product.